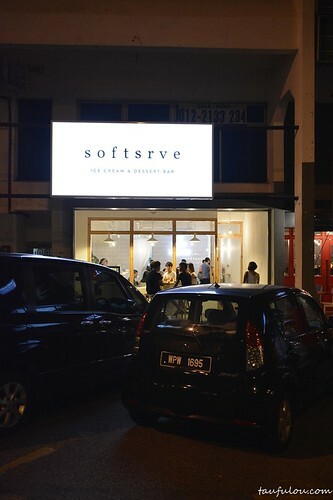 I guess another new trend is popping up, which is soft type of ice cream known by many Softsrve ice cream & Dessert Bar. Milkcow were one of the first to penetrate this into the market and I guess its not new to many of us as one my favourite is still those like MCD version. 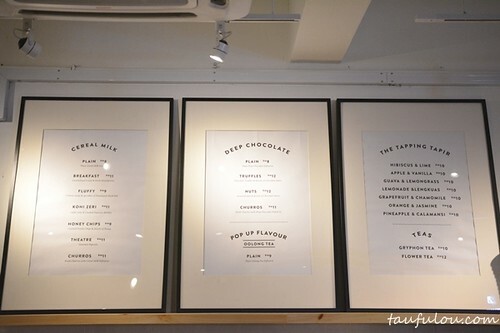 It is just that concept store of desserts are keep popping out to attract the modern trendy food hunters. Its one of the latest hype for this place and since just finish dinner around the area and pop by to check them out. Love their simple concept of the outlet, that really make them pop out as the lighting makes them the brightest among the rest. 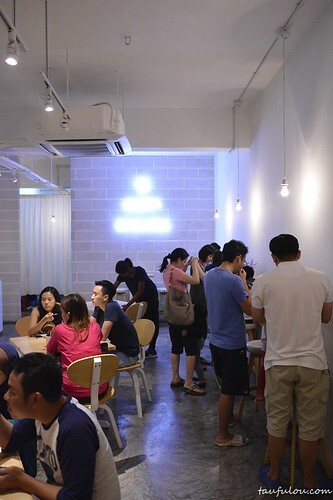 Full House inside as the do offer mini table by the wall for you to place on your ice cream. Price wise certainly its not cheap for a soft serve ice cream. It sure do looks like being run by a group of teenagers from behind the counter. 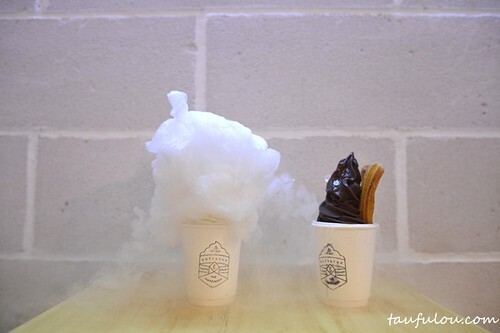 Try 2 of their version one which is Cereal Milk – Fluffy @ RM 12 – Cotton Candy & Sprinkle with Himalayan Sea Salt. Love the taste of it as cereal taste is there and soft ice cream is just nice. They even cleverly play the gimmick with dry ice upon serving to you. 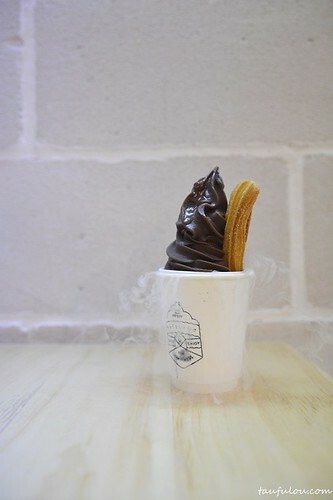 Keen to try out this as the pricing do make my curiosity high as for Churros with Softserve @ RM 18 in their Deep Chocolate version. 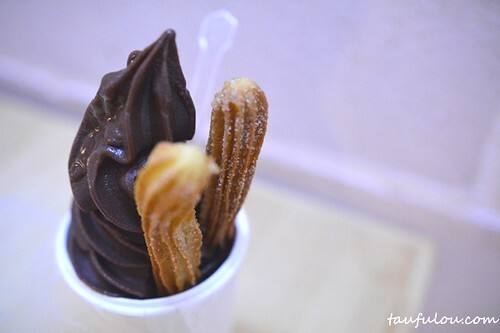 I would say this is kinda rip off as the churos is over fried, cinnamon sugar taste is not that strong and chocolate ice cream does not suits my taste bud. 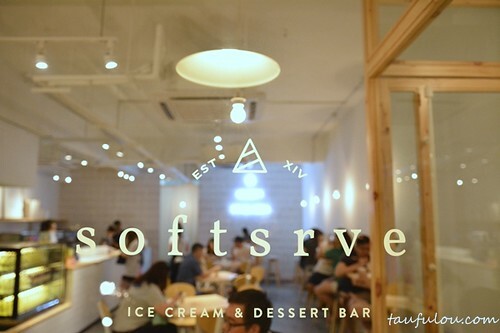 Anyhow, I find that this is pretty expensive ice cream as to me Softserve is something not that expensive and the cup presentation is an illusion where its not in full cup. Its only half of the cup where they put dry ice at the bottom to create the gimmick of smoke and put another half cup on the top to cover it. Oh well, some of you might like it and for me, its good enough just to try off once. 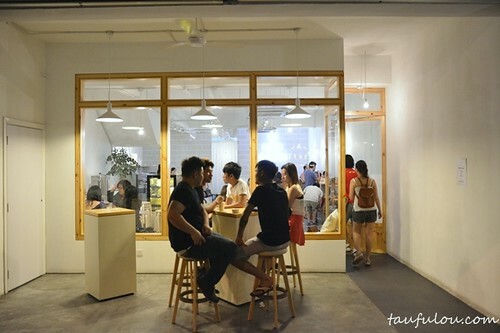 Coffee Smith (咖啡史密斯) @ Maritime Piazza, Karpal Singh Drive, Georgetown, Penang.